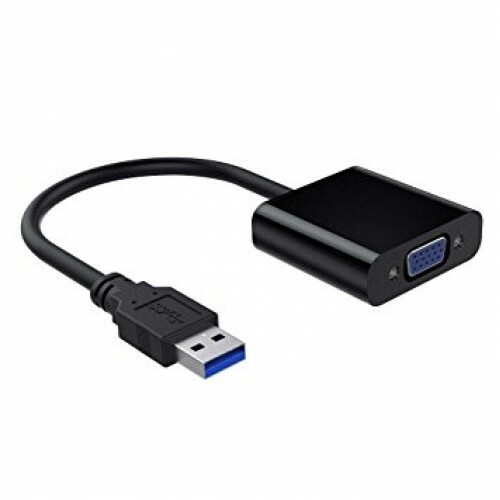 This usb to vga display adapter is used to connected a USB-enabled devices( such as laptop, desktop) with a VGA-enabled devices( such as monitor, projector, TV) for multi-monitor solution, extending working space with split-screen, mirroring display, etc. USB 3.0 Interface, Fast Transmission. Backward compatible with USB 2.0 computers. Wide Compatibility. Support Windows XP/10/ 8.1/ 8/ 7. DO NOT support OS ! High Resolution: If connected to USB 3.0 devices, resolution is adjustable and the maximum resolution can be up to 1920x1080@60Hz(1080p), if connected to USB 2.0 devices, resolution is 800x600@60Hz. Tips:To ensure high resolution output, please ensure that the port is USB3.0, video is high-resolution and the monitor support high-resolution.